Excellent "random" find at the library! This tells the stories behind a score of saints "before they were saints". It helps put a little more human flesh onto the "saintly" pictures we grew up with - we get to hear about the murderous deeds of some Ukrainian/Viking monarchs; the financial cheats and scandals prior to eventually being elevated to the episcopacy (or even papacy); the jealousies and rumor-mongering that would plague otherwise intelligent and devout people; and, above all, the graces and life-transformations that turn these horrible people into the heroes of our faith. Each chapter is a mini-biography of a saint, so they can be read as short stories, a single chapter at a time (even bouncing around, if you so wish), although a few are actually interconnected (e.g., a pope and his anti-pope; a queen and her grandson, etc.). 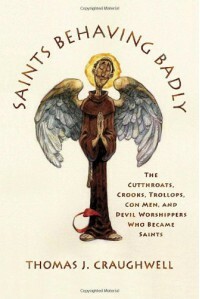 Highly recommended for anyone who feels like they cannot measure up and be a saint (in other words, everyone!). 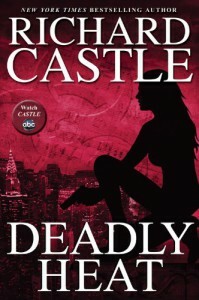 Most likely the final installment in the "Nikki Heat" series, this brought a fair amount of closure to the story arc involving the death of Nikki's mother. Not the best of the series, but still a satisfying conclusion to the story. Aside from the multitude of typos in this edition of the book, it was an enjoyable installment in the "Empire of Man" series. Unfortunately, I thought it was a trilogy right up until the book ended - so I was a bit disappointed that there is still another whole book to go. 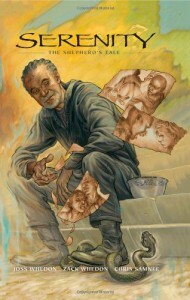 With what took place in the last 50-100 pages, I'm kinda torn about how much I'm looking forward to the last book. (In a military book, even a sci-fi one, it's not much of a spoiler to say a lot of good people died. 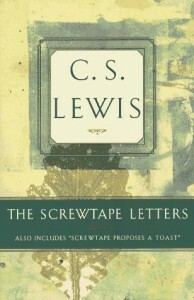 I could not continue reading this book, so it was returned to the library, eternally unfinished (at least, by me). This and [b:The Overton Window|6949478|The Overton Window|Glenn Beck|http://d202m5krfqbpi5.cloudfront.net/books/1274189222s/6949478.jpg|7183757] are both... I dunno... just kinda there. It's a decent enough book, with enough doses of reality to scare you, but... it just feels like it's trying so hard to be Tom Clancy, but misses wide. 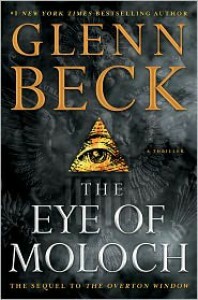 If you're a Glenn Beck fan, you'll read it. 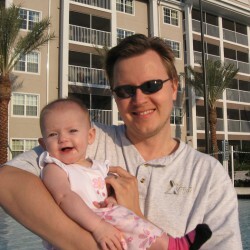 If you're not a fan, you won't (because you've already read "Overton" and mocked him for it). But I doubt anybody will pick it up 5-10 years from now and say, "wow - that was an amazing book" or "it was ahead of its time" or even "its held up well over the years". Wish I could say it was great - but it's just another political/quasi-military thriller among many. interesting so far, but it could end up forced like the star wars prequels. When I started this book, I guess I was expecting something more along the lines of [b:Ready Player One|9969571|Ready Player One|Ernest Cline|https://d202m5krfqbpi5.cloudfront.net/books/1383399667s/9969571.jpg|14863741]. Instead, I got a mishmash of daddy issues and confusing sci-fi. Also, this is supposed to be a funny book. 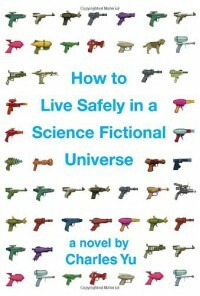 The only humor in it is the glancing references to other sci-fi works, which (at best!) might elicit a grin of recognition - hardly a good belly-laugh, though. 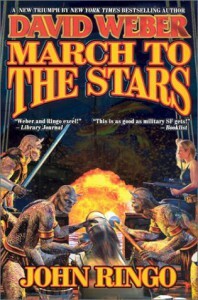 I'd already read Young Miles last month, and it was so enjoyable (actually an enjoyable 2 novels and a short story in-between) that I decided to put the rest of the Vorkosigan saga on my to-read list. So reading this first book in the series really helped me better understand Young Miles (especially the character of Sergeant Bothari). 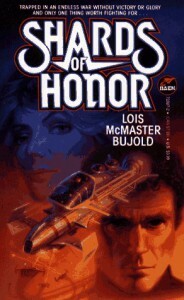 I'm not sure whether Young Miles was written first and then Shards of Honor as a prequel, but I doubt it, because it was so well done in filling in the gaps that I could hardly believe a prequel could be so thorough (the Star Wars prequels being an excellent example of how NOT to backfill a storyline). At any rate, I will definitely be reading more in this series. A helpful companion to Forming Consciences for Faithful Citizenship, but I'd still recommend going back to the source material referenced by the footnotes throughout the bishops' document. While the intention of this book may be to help Catholics better discern how they should vote in elections, the material is neither concise nor clear nor timeless. First, the lack of conciseness. At 26 pages long (not including appendices), this is not a quick, little "voter's guide for Catholics". Although it isn't intended to be a voter's guide (it says so in the Introductory Note), that is the main reason people will pick this up in the first place. While a bait-and-switch tactic might be a useful way to get Catholics to learn more about their faith (e.g., Crown ministries gets people through their finances, but they end up doing a Bible study), it's contents would be need to be unambiguous to do so successfully. This brings us to point #2: the lack of clarity. At many times, this booklet seems to be "speaking out of both sides of its mouth." While trying to be non-partisan, it raises issues that are clearly partisan in the United States (the intended audience). It tries to say that certain issues must never be compromised, but fails to list those explicitly. It also suggests that some topics must not be forgotten while not compromising on the other points, leading to confusion as to whether you should vote for anybody at all! 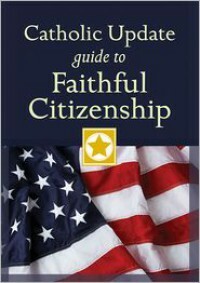 A good recommendation I can make for the proper understanding of this book would be to read another guide as well, like Catholic Update Guide to Faithful Citizenship. 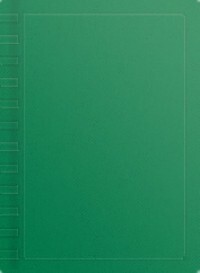 Better yet, do what I did: get a group of people together to study it, one section at a time, to discuss its contents - paying special attention to where it references other documents like those of then-Cardinal Ratzinger (now Pope Benedict XVI), e.g., "Doctrinal Note on some questions regarding the Participation of Catholics in Political Life". Reading the referenced material - in context - will yield a much better understanding of this muddy, "made by committee" hodge-podge of authentic Catholic beliefs co-mingled with modernist social justice musings. I cannot recommend this booklet without an informed, orthodox guide. With a guide, it can deepen your understanding of the faith. Without such help, it can only serve to confuse you more (which is sad at this critical point in our nation's history). too short - FAR too short. 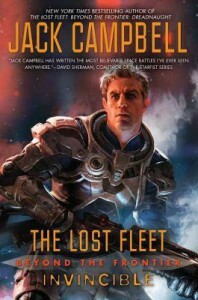 Not just another good entry into the "Lost Fleet" series, but also a thoughtful exercise in examining our anthropocentric biases, both towards those different from us as well as each other. 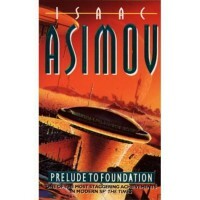 This one explores different intelligent species, our academic expectations vs. reality, and how revolutions can start and be successful (hint: they don't succeed in a vacuum - forgive the space pun - but rather rely on diplomacy to provide leverage against the outside forces that want to stomp it before it can grow). 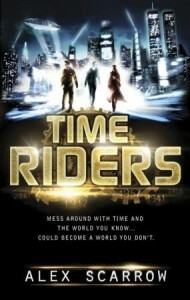 One of the best books in the series, and I cannot wait for the spin-off in October 2012. Gotta admit, I'm not all that impressed with the first outing of Derrick Storm. 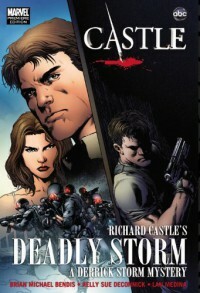 Could be that I'm not really a huge fan of graphic novels - or it could be that this (unlike the Nikki Heat books) is entirely unconnected to the "Castle" universe as described in the TV show. At any rate, it was alright, but that's about it. I'd like to start off by stating that the reason I read this was because my wife, during the whole time she was reading it, kept saying how horrible it was. I was curious to find out just how horrible. My verdict: not that bad. "When Shawn shouted, Gus was at least thirty feet in front of him. Since sound travels at seven hundred seventy miles per hour, it took his voice at least one thirty-fifth of a second to reach Gus. Maybe a fraction more, since he was accelerating away from Shawn, and there was the Doppler effect to consider. Even after Gus heard Shawn's voice, it would have taken another .028 of a second for the meaning of the word to penetrate his brain..."
Not the only example, but definitely the most egregious, and would probably win a Bulwer-Lytton award if it were the opening line of the book. Also, this particular writer obviously has a penchant for emphasizing and dwelling on the physical assets of the female minor characters (while, ironically/hypocritically, criticizing Shawn for objectifying the main female characters in the show). I did, however, enjoy most of the book, especially by challenging myself to read the dialogue as quickly (i.e., snappy repartee) as they do in the show. Unlike most episodes, it had multiple storylines/cases going on concurrently, which made it a little difficult to follow what was going on, but also served to divert attention long enough to make you wonder if any of them were red herrings. 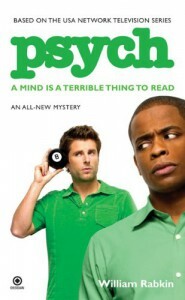 Overall, it was not the most solid read, but it was a decent novelization of a TV show. I really enjoyed getting the back-story of how Cyd became Codex. 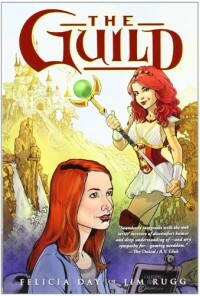 This "prequel" to "The Guild" was well-written and well-done, mimicking the style of the web series. I'm not particularly a fan of the graphic novel format, but the web series (and subject matter) seems to lend itself well to this particular medium (unlike Richard Castle's Deadly Storm). So, in spite of the medium, I still have to give this 4 stars for consistency of character development, humor, and awkwardness that are hallmarks of the series.